– well now the owls have decided it’s their turn!! Bagshot Halloween Owl Hunt 2014!!!! 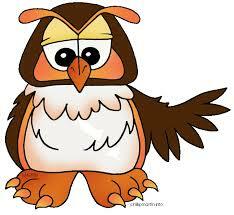 During the October half term week – 48 owls will be in the windows of shops and businesses in Bagshot Village Centre. Can you help to find them all? At the moment they are preparing for flight, as there are still a couple of checks to be carried out but hopefully they will all be out and about by Monday tea time. Entry forms are available from ALBOE and Howlands in the High Street or you can write 1 – 48 on a piece of paper and write the names of the owls next to the numbers. You can then hand it back into ALBOE (with a £1 entry fee please), which goes towards the prizes and printing costs. Any surplus donations will go to Harper Asprey Wildlife Rescue. Make sure your name, email address and contact number are on your form before you hand it back. Closing day in 4pm Friday 7th November and winners will be announced at about 4pm on Saturday 8th November at the end of the ALBOE Re Opening day. The new Harper Asprey Wildlife Rescue fundraising corner will also be unveiled that day! !